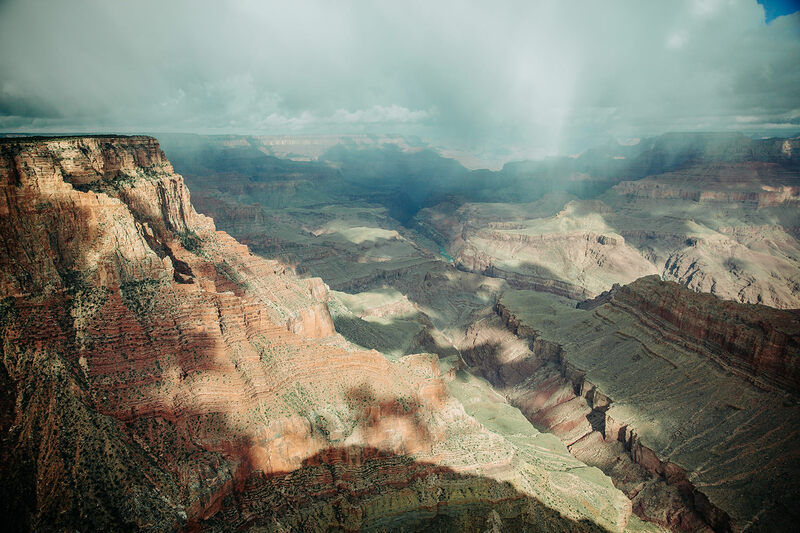 “The glories and the beauties of form, color, and sound unite in the Grand Canyon - forms unrivaled even by the mountains, colors that vie with sunsets, and sounds that span the diapason from tempest to tinkling raindrop." Teddy knew what’s up. When a doctor once told him to lead a sedentary life on account of a weak heart, he replied, “Doctor, I’m going to do all the things you tell me not to do. If I’ve got to live the sort of life you have described, I don’t care how short it is.” A year later, he scaled the Matterhorn in the Swiss Alps. Now there’s a man I’d like to think I could trust. And although the Grand Canyon wasn’t officially designated a national park until 1919, the man understood the value of this amazing place. The Grand Canyon is 277 miles long, up to 18 miles wide, and 6,000 feet deep, and easily one of the most awe-inspiring sights in the world. Our first stop was the popular viewpoint of Desert View. After grabbing some ice for the cooler and talking with Carmen, the friendly general store clerk, we took her advice and soaked up the views of the Colorado River running from north to south, with the Little Colorado stretching into the Painted Desert. 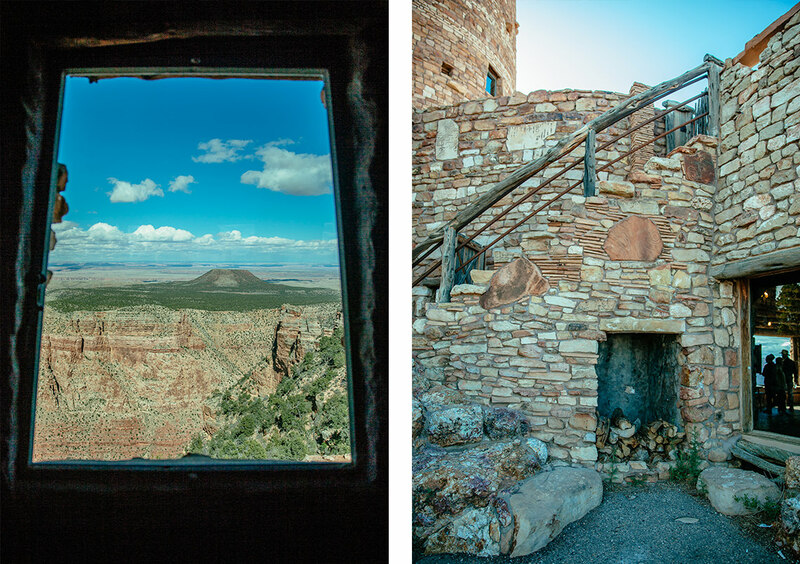 After some exploring and hiking along the rim, we visited the Desert View watchtower and learned some history about the land, slowly acquainting ourselves with the Grand Canyon. We snagged a map of the park to begin ticking off destinations and headed out to hit the trails. Begin your sightseeing at the Desert View Drive route for several stunning viewpoints. 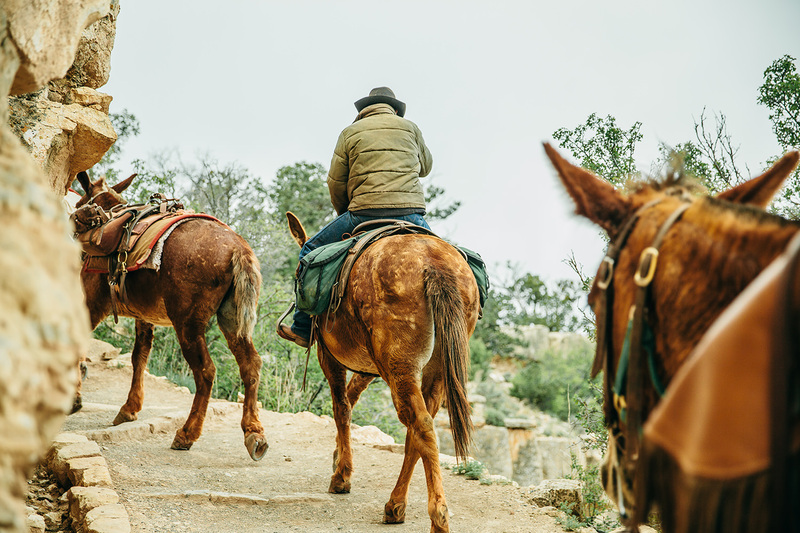 The park offers several free shuttle routes including Hermits Rest, Tusayan, Village, and Kaibab Routes for those who don’t have their own vehicle or prefer the ease of hopping on and off quickly. Buses come every 15-30 minutes every mile along the 13-mile rim trail. The canyon is a friend to cyclists as well, so whether you’re hiking, driving, or on a bike, there are options for getting around. As you get farther into the park, you’ll see turnoffs to free parking spaces and viewpoints, none of which will disappoint. I believe that it's impossible to find a disappointing viewpoint in the Grand Canyon. May is a fantastic time of year to visit the Grand Canyon. Springtime crowds are much less than what you can expect during the summer months. Prior to May 15th, the North Rim is closed –with a 1,000-foot higher elevation that the South Rim, winter lasts longer on the north side – leaving only the South Rim open for visitors to explore. While that can be a downer for those looking to get deeper into the backcountry, there are also several upsides: fewer crowds, milder temperatures, and more flexibility when you're making your plans. 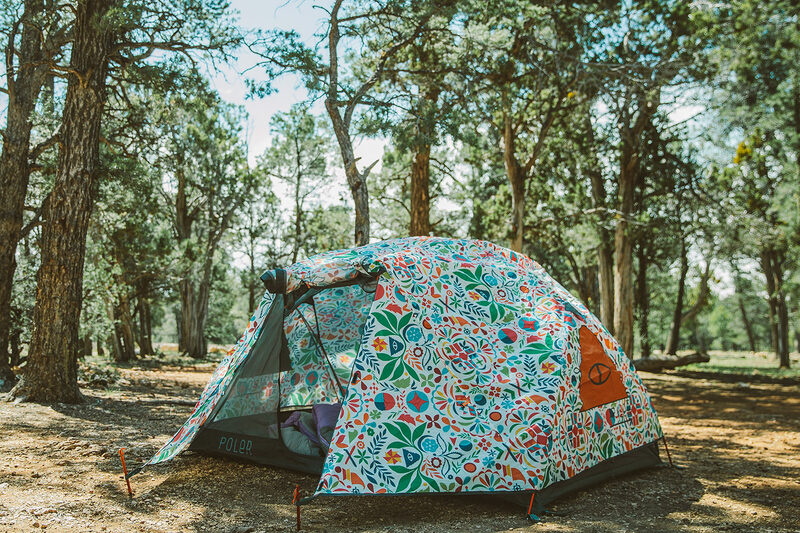 Camping and lodging within the park is much more available on a whim, so if you’re the type of traveler who likes to plan in the spur of the moment instead of months ahead of time, you're much more likely to find a place to stay. Once the North Rim reopens and summer officially rolls around, tourism really picks up and you’re going to start seeing those crowds again. 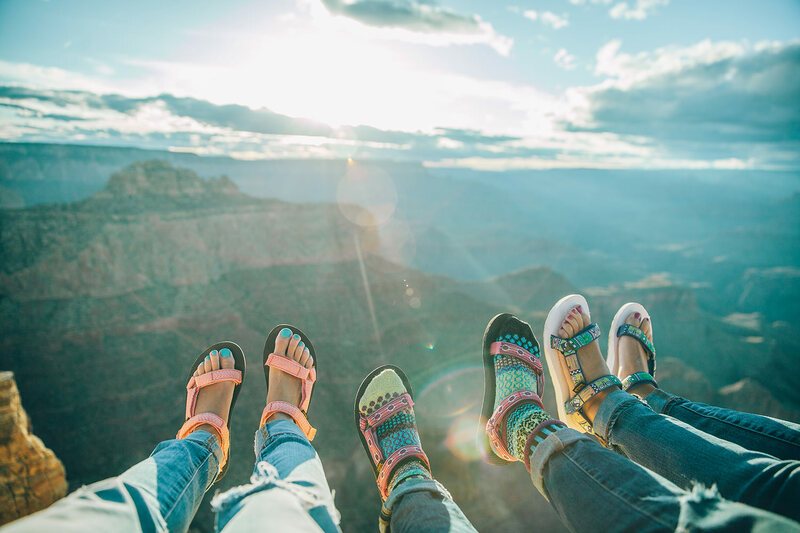 “Typical weather for the month of May in the Grand Canyon is in the mid 60s-70s Fahrenheit, with rapidly rising daily highs and gradually longer days. The Grand Canyon becomes extremely arid in the spring, resulting in dramatic temperature swings. As the month goes on, likeliness of precipitation decreases, although May is known to see thunderstorms, light rain, and even snow. It’s always a bit of a surprise in the canyon during springtime, so come prepared for all types of weather. May is a great month for hiking in Arizona, with comfortable weather during the day and wildflowers blooming everywhere. Our weather forecast predicted mid 60s, when in reality we experienced daily rainstorms and woke up with snow on our tent. The benefit to rainfall is the resulting vibrancy – the reds of the canyon walls really pop and the green foliage seems brighter. The weather is never severe enough to pose any real potential threat this time of year. Changeable weather is such a huge part of every outdoor experience and really adds to the adventure, so come prepared for everything and you’ll be much more comfortable embracing the unexpected. Pro Tip #1: It’s SUPER windy this time of year! Make sure to have a quality hooded jacket that cuts wind and wicks rain. For me, the key to a successful trip is always touching base with friends or acquaintances who have done the trip before - and, ideally, who share your interest in the same activities. If you’re traveling in an RV or camper van, for example, talk to other RVers or van lifers about where they park at night and which routes they drove. If you don't know people already, don’t be afraid to make cold reach-outs on social media channels like Instagram and Snapchat. Another useful option is searching key words and phrases on Pinterest and like “grand canyon road trip” or “best camp spots at the Grand Canyon” to see what pops up. I like to do the same search on hashtags on Instagram (#grandcanyonnationalpark and the official @grandcanyonnps account) to see what’s currently going on in the park – this will give you a really good idea of the weather, which is extremely helpful this time of year. During my research, I came across a website called My Grand Canyon Park and found it to be very useful, leading me to some really cool places and helping to kick start a lot of my idea generation for the trip. What should I pack for my trip to Grand Canyon National Park? When it comes to your pack list, it's best to bring plenty of layers, including a light rain jacket and versatile shirts you can wear with or without a top layer. Along with a tent and the rest of your camping gear, be sure to include a dry bag for days with a chance of rainstorms. It’s always nice to have the option of weatherproofing your gear using products like this Peak Design shell for your cameras or a weather cover for your pack like the one found here at Lowepro. I always feel more at peace knowing my essentials are safe and dry. Beyond having your technical gear covered, it’s always smart to have extra batteries for headlamps, jumper cables for dead car batteries, and cash on hand for unexpected cash only places. 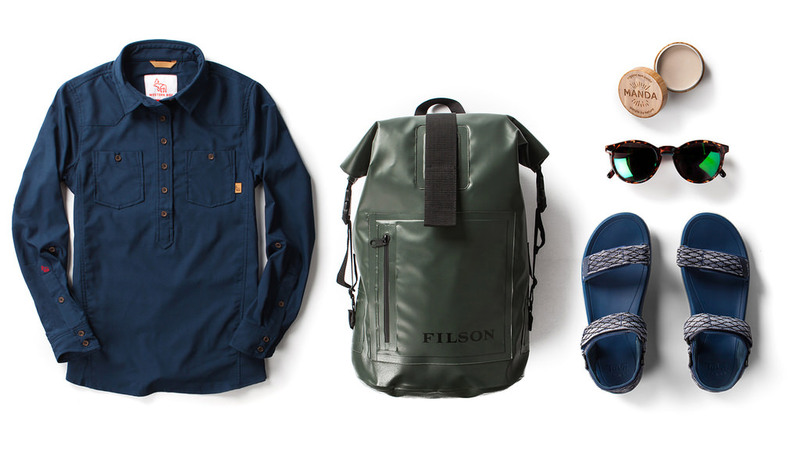 Editor's Note: Here are the top five items we'd recommend stashing in your adventure duffel. • Western Rise popover. Whether you’re hitting the South Kaibab Trail or sitting around the fire at Mather Campground, the Western Rise women’s popover shirt will keep your comfortable, dry, and protected from the elements. Gents, you’re in luck – Western Rise makes a handsome alternative for you to wear to match your lady. • Filson Dry Day Backpack. 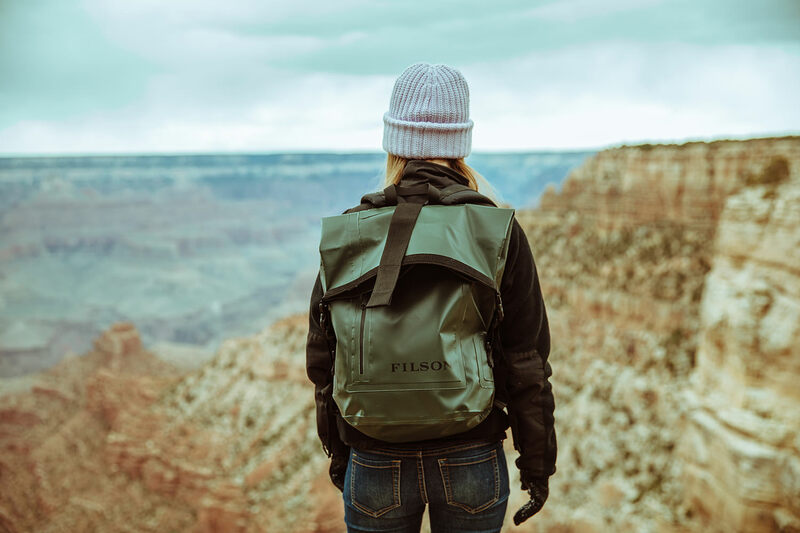 Rainstorms in the canyon come fast and furious – stay prepared and keep your criticals dry with a waterproof daypack like this roll-top version from Filson. Remember that you can't take this with on rafting trips on the Colorado River, since local regulation requires all bags brought on board to be clear. • Manda Sun Paste. 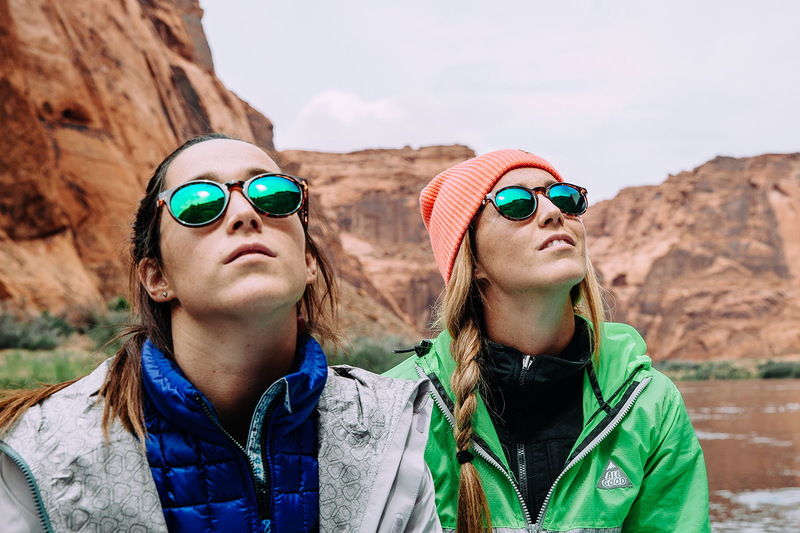 A performance sunscreen made from a special all-natural (and surprisingly edible) formula, Manda will keep your skin safe from the harsh desert sun without causing harm to organisms in the Colorado River. What activities should I plan ahead of time in Grand Canyon National Park? One of the biggest draws to the Grand Canyon is rafting. For around $90 per person, you can book a half-day trip to get the most bang from your buck. The trip ends up being about four hours altogether, and is well worth it for the bottom-up views of the canyon walls. Whether you’re looking for a more scenic, relaxing, and budget-friendly river float or want to rip into the rapids, there are options for everyone at all levels of experience. 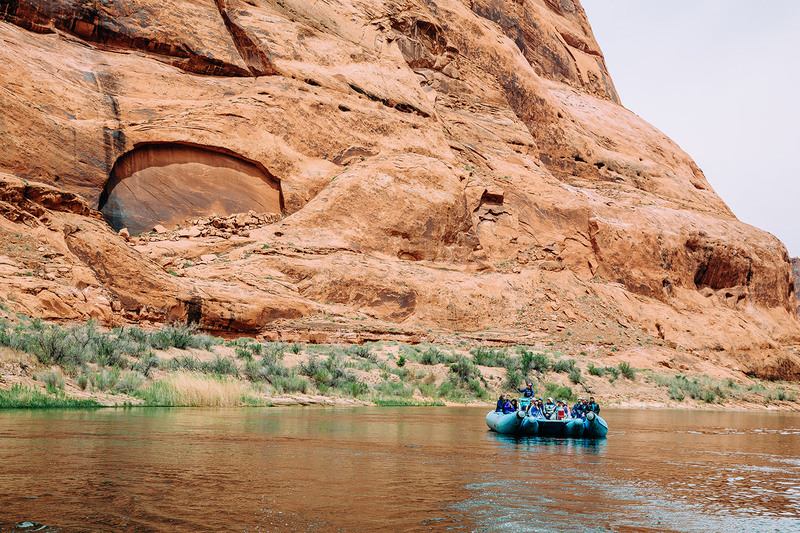 Keep in mind that the float begins at the Glen Canyon Dam in Page, Arizona for smooth water rafting or launches downriver at Lee’s Ferry for the bigger rapids, both of which are about three hours outside of the park. This can put a damper on your plans when you realize you have to drive so far just to get your feet wet, so plan accordingly. You could decide to stay in Page the night before so that you’re already close by in the morning (a great opportunity to check out Horseshoe Bend), or book your rafting adventure at the beginning or end of your trip to avoid the back-and-forth in and out of Grand Canyon Village and save on mileage. I recommend booking with Colorado River Discovery for rafting trips. You'll enjoy a peaceful float learning about the geography of the canyon, its wildlife, and the petroglyphs from ancient peoples on the canyon walls. 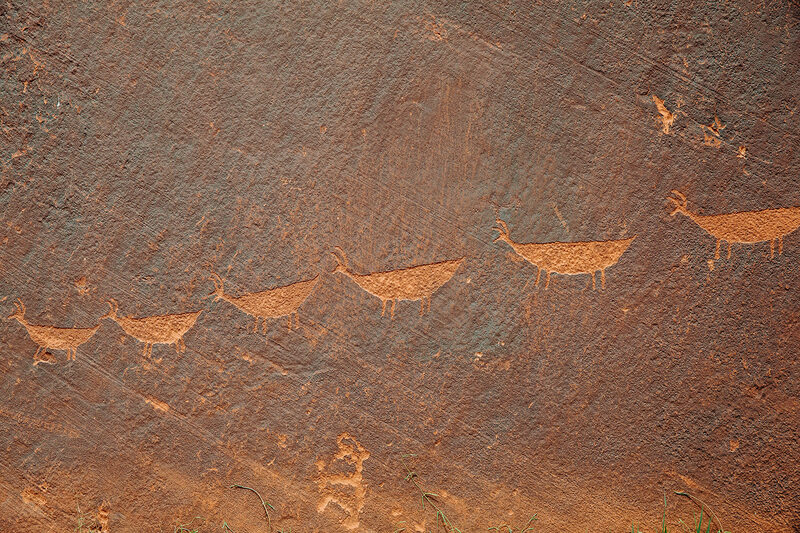 If you’re lucky, you may even get a native Navajo guide like we did who can touch on the canyon's history in a more personal way. Sean, our river guide, was also kind enough to bring along some canned lemonades that he cooled during the duration of our trip be letting them trail along in the river, chilled by the water's naturally cold temperatures. Pro Tip #3: Tour companies are very particular about backpacks and gear on the river rafting trips — it’s a local regulation to allow only see-through bags onto the rafts and into the dam region, so don’t expect to bring your dry bags or even camera bags onto the raft unless they’re clear. Come prepared with the right protection for your camera gear and a GoPro, or just opt for the clear bag requirement. What’s the best way to get to Grand Canyon National Park? Depending on which direction you’re traveling from, getting to the Grand Canyon is very simple. 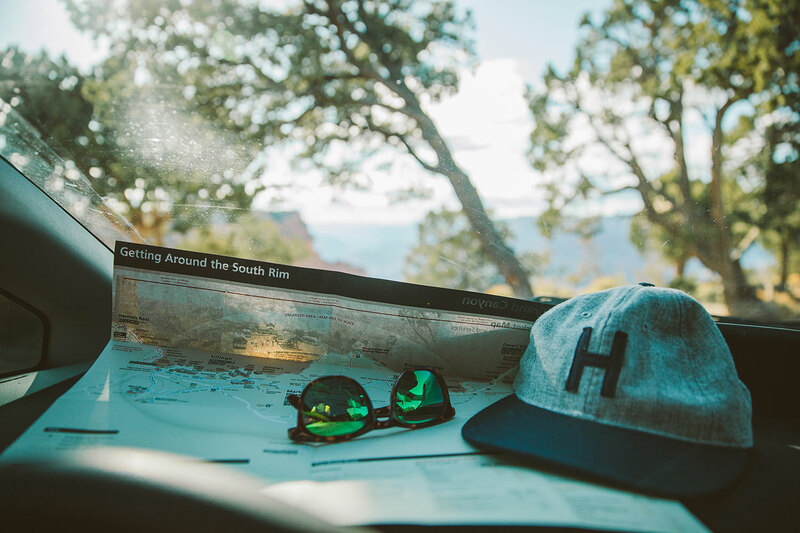 If you’re coming by car, like we did, map your way to Page, Arizona and follow the signs south to the park from there; you’ll find yourself at the park entrance within a few hours. Fill up on gas or snacks in Page, because there’s a lot of open space with limited access and service between there and the village in the Grand Canyon. If you're flying, you have two options for airports: Phoenix Sky Harbor International Airport, 220 miles from the South Rim, or Las Vegas McCarran International Airport, 263 miles from the North Rim. Most major airlines have direct flights from all over the country to both airports. Rent a car and drive to the Grand Canyon from there. Like all other national parks, Grand Canyon requires the federal recreation fee that directly benefits the park. $30 per vehicle, you can pay by cash or card at the first booth at the park entrance. Where should I stay in Grand Canyon National Park? We camped at Mather Campground for $18 per night, and loved the open space and forested campgrounds there. Easy to find with plenty of space and all the amenities you could need, Mather is located very close to the South Rim. For those who want to watch the sunrise at Mather Point without having to go far when you’re still wiping the sleep from your eyes, Mather is an incredibly convenient campground. If you’re all camped out or weather has taken a nasty turn and you find yourself looking for an affordable hotel within the canyon, Maswik Lodge offers classic hotel rooms nestled on acres of Ponderosa Pine forest. Just a short walk from the canyon’s edge, it’s a great option for those staying on the South Rim and looking for a place where they can also grab a quick bite late at night after a full day of hiking (try the Pizza Pub). With a gift shop onsite as well as a full dining hall chock full of cafeteria-style eatery options, it’s a great choice for travelers. Nightly rates start at $100 for a room. For a more off the grid experience, rest your head at the Shash Dine eco retreat and B&B. Hosted by a native Navajo woman named Baya, you'll sleep in a hogan – a traditional Navajo home similar to a yurt – on Navajoland surrounded by churro sheep, goats, horses, chickens, dogs, and other ranch livestock raised with Navajo traditions. With a dirt floor, candle lanterns, and outhouses, this still qualifies as glamping, and gives you insight into an authentic Native American lifestyle. The history of the land dates back hundreds and hundreds of years, and it's where Baya’s ancestors have lived for fifteen generations. The same hogans built by her ancestors are still standing today, and are available for peaceful retreats and cultural overnight experiences. Water is a precious resource in the desert and within the Navajo Nation, and unique to this B&B is the traditional Navajo way of bathing – you'll be given a bucket with the same amount of water in it that the Navajo people use to bathe themselves, that is, much less than your average American shower. 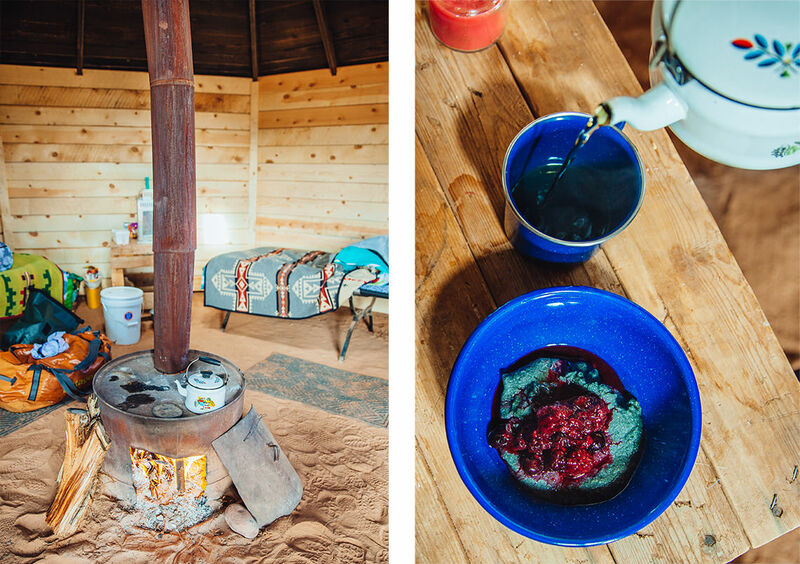 Our favorite part of the stay was the traditional breakfast of blue corn porridge and Navajo tea, heated over the fire and served right when we woke up. As an extra incentive to stay here, Shash Dine is located just minutes away from Horseshoe Bend. What’s the one shot of Grand Canyon National Park that I have to get? You can’t visit the Grand Canyon and not get a shot of Lipan Point. From this viewpoint, you can see 2,000-foot sandstone cliffs, Hance Rapid (one of the most powerful whitewater rapids along the Colorado River) the Unkar Delta, and the Grand Canyon Supergroup, a unique rock formation on the South Rim. Lipan Point offers up what is arguably one of the widest views of the canyon and the Colorado River. On a clear day, visitors can see the curve of the Colorado entering the inner gorge of the canyon and all the way to the Vermillion Cliffs to the east where the canyon begins. It is one of the most spectacular views on the South Rim. What’s the secret shot I have to get in Grand Canyon National Park? There’s a little ledge near the trailhead of the South Kaibab Trail that isn’t exactly secret – but it is off the path and offers a view that almost makes it appear as though you’re floating over the canyon below. It’s easy to access and worth the shot. Venture out as far as your courage will take you and check out the view; there are about a million amazing photo opportunities in the park, but this was the one that had me gasping aloud when I saw it for the first time. Pro Tip #4: Think twice before you take real risks for a photo. I get it – I’m a photographer, and you want to get the shot! But it’s not a bad idea to ask yourself if the photo is worth dying for. 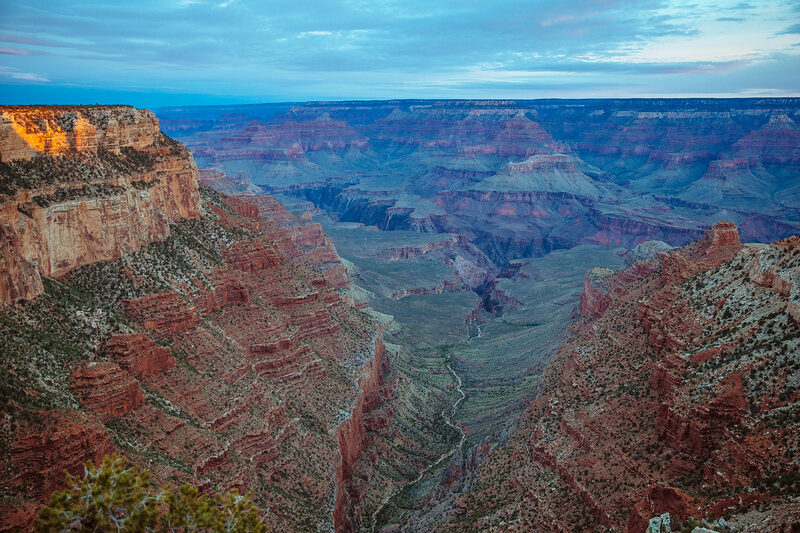 Where’s the best place to get off the beaten path in Grand Canyon National Park? 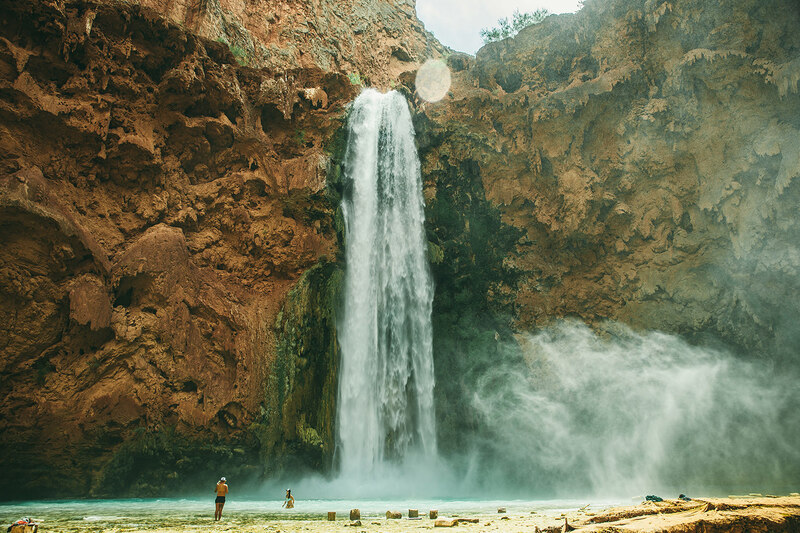 Havasupai, hands down. 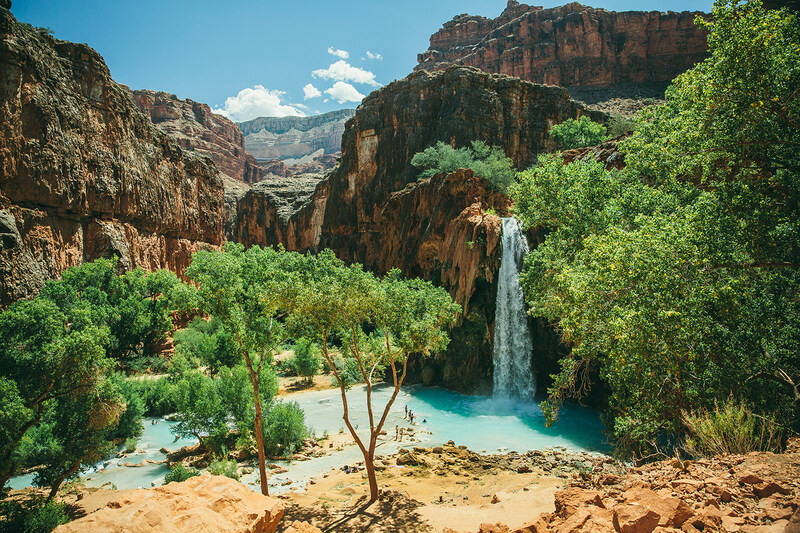 It's just outside the borders of the park, but if creamy turquoise waterfalls and red rock canyon walls are your thing, you should take the time to hike down into the Supai village to see the beloved Havasupai, the people of the blue-green water. Native Americans still live inside the canyon today, farming the land and living a completely self-sufficient lifestyle intimately connected to the land and the water. Treat the people and the land with respect, as you are a guest in their home. The Supai village is located near Havasu Creek, a tributary of the Colorado River that is prone to flash floods. Not accessible by road, you can hike ($35), helicopter ($40), or ride a donkey ($75 one way) into the community. This isolated oasis is an absolute paradise, and you can spend your days hiking and exploring new waterfalls and pools for swimming. From Grand Canyon Village, driving time to the trailhead is approximately four hours. Ideally, I recommend three to four days for the trip, with backpacking the 10 miles in and out of the campground, plus extra days for visiting various waterfalls within the village like Mooney and Beaver Falls. What’s the best day hike in Grand Canyon National Park? 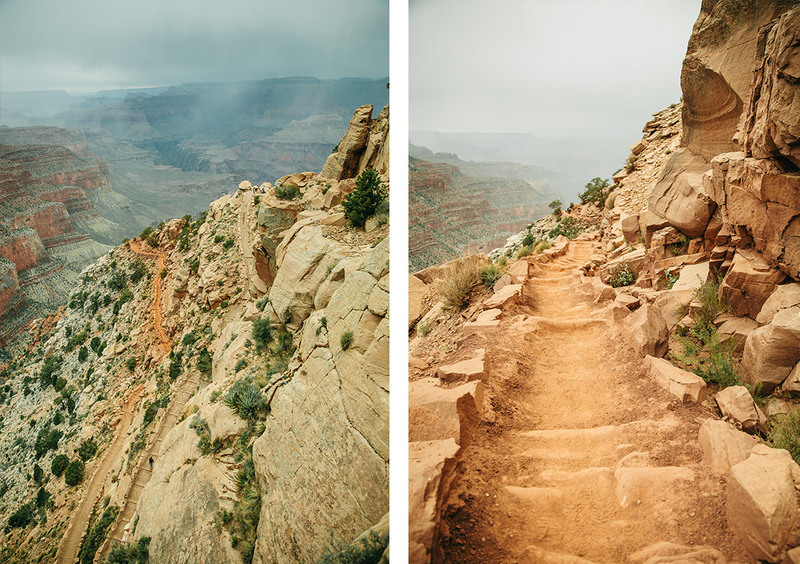 The South Kaibab Trail is incredible. You'll follow steep switchbacks deep into the canyon, taking in unbeatable views the entire way. The good thing about this out-and-back trail is that you can hike in as far as you want – all the way to the bottom of the canyon floor – or turn around whenever you feel like it to head back out of the canyon. Whether you're looking to do a one-mile hike or a 15-mile hike, this trail is for you. The South Kaibab trail follows open ridgelines providing stunning views in all directions and ends at a suspension bridge, which leads to the Bright Angel Campground and Phantom Ranch (good spots to know if you’re planning on backpacking). Bring plenty of water, because there is none available on the trail; regardless, it's always a good idea to carry a Lifestraw or other water purification system when you're entering the canyon. At 7,200 feet, you drop to 2,500 feet at the suspension bridge, which marks the end (approximately 6.3 miles in). There are several turnaround points including Ooh-Aah Point at mile 1.5, Skeleton Point at mile three, and Tonto Trail Junction at 4.2 miles. Just remember, hiking in you’re dropping into the canyon and on your way out it will likely take nearly twice as long due to the climbing in elevation and following switchbacks. At approximately 14.6 miles round trip for the entire hike, I’d recommend two days of hiking time to backpack for the full experience if you have the time. Pro Tip #5: There’s nothing like standing on a ledge overlooking the deep abyss below when a giant gust of unexpected wind almost knocks you clear over. Be smart, and don’t let yourself become another statistic – two to three deaths per year are from falls over the rim. Stick to the paths and stay on the trails. If you’re traveling with kids, always keep an eye on them. Where should we eat when we’re in Grand Canyon National Park? El Tovar Lodge is one of the finer historic dining establishments in the park, and certainly the most popular – and for good reason. Rodney, air force veteran and California native working at the lodge, recommended the breakfast menu and told me it was okay to come as you are, hiking boots, bedhead, and all. Kick off a full day of hiking with a 6 am breakfast and morning pick-me-up. I recommend the housemade banana bread French toast for those with a sweet tooth. Topped with caramel sauce and fresh banana garnish, you'll have plenty of energy for the day. Top off your breakfast with a kettle of fresh hot chocolate. What else shouldn't I miss in and around the Grand Canyon National Park? Aside from the must-see Horseshoe Bend – best visited at sunset when the water is vibrant and the sky paints its moody hues as the day comes to a close – the upper and lower Antelope Canyon just outside the park is an extremely worthy destination. Upper Antelope Canyon is known for its light beams in the early morning and evenings, while the lower Antelope Canyon is all about the textures and colors. We visited lower Antelope Canyon, which is less crowded at $20 per person (look for the green roof to get your tickets). Don’t expect either of these places to be empty; while they are peaceful in their own right, they are far from relaxing. You’re required to purchase a ticket and go in guide-led groups, who, in our experience, were very friendly but tend to rush you through the canyon. There’s not a lot of time to stop and gawk, like you most certainly will want to, so prepare to snap photos on the go. You are almost guaranteed mosh pits of tourists in your photos and working around bobbing heads and floating iPhones in your shots, so be patient and embrace it for what it is and respect the rules. 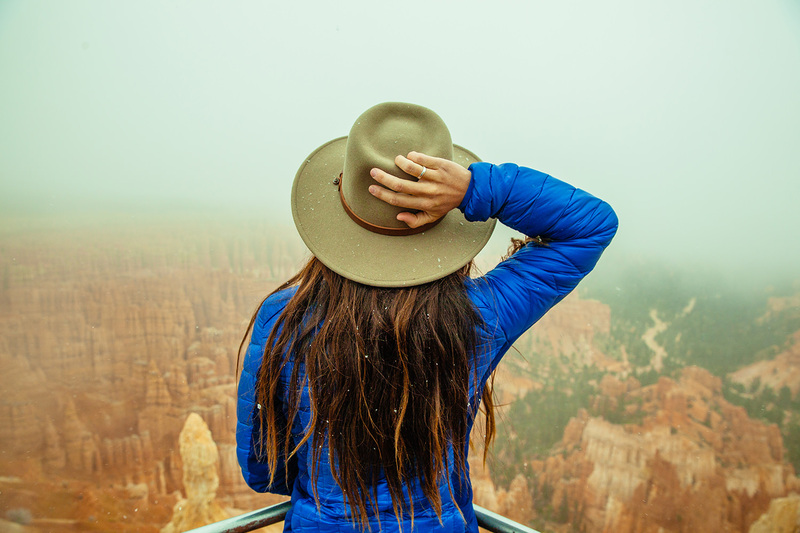 There’s literally nothing like Bryce Canyon National Park anywhere on the planet, and it's just a short drive away from the borders of the Grand Canyon. An alien landscape of ancient “hoodoos” (pillars of rock shaped by erosion) spill out as far as you can see. If towering turquoise waterfalls contrasting spectacular orange cliffs is your idea of heaven, you’re definitely going to want a permit to explore the Havasupai Indian Reservation – called “the Shangri-La of the Grand Canyon." 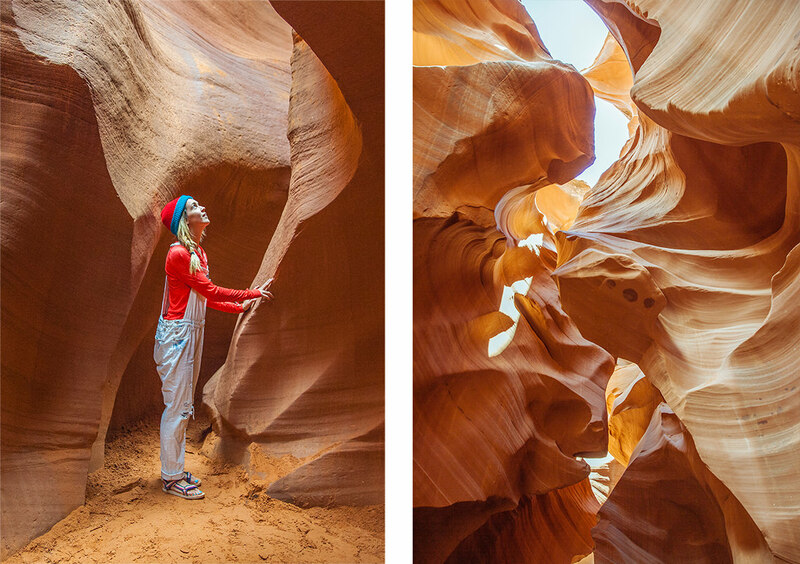 Duck into Lower Antelope Canyon, aka a photographer’s paradise, which takes you into a slot canyon, some 120 feet deep into Arizona’s orange earth. 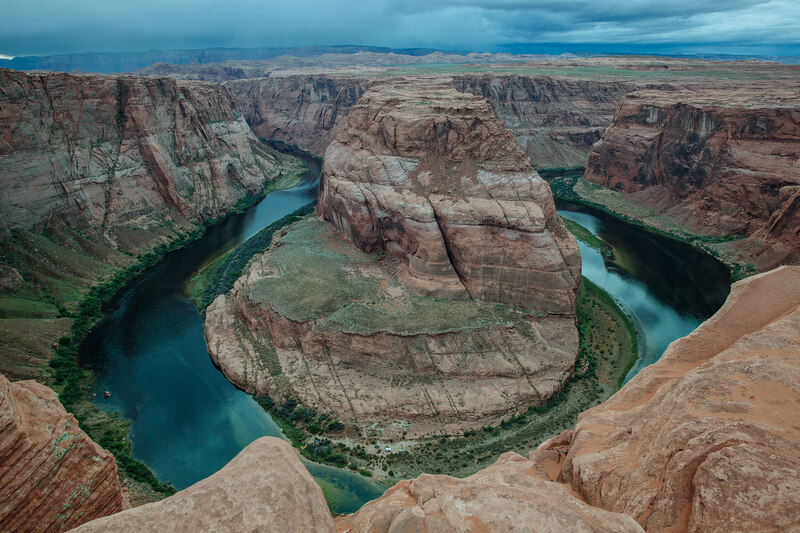 Horseshoe Bend – it’s the most photographed area on the Colorado River for a damned-good reason. Just be sure to bring that w-i-d-e angle glass. 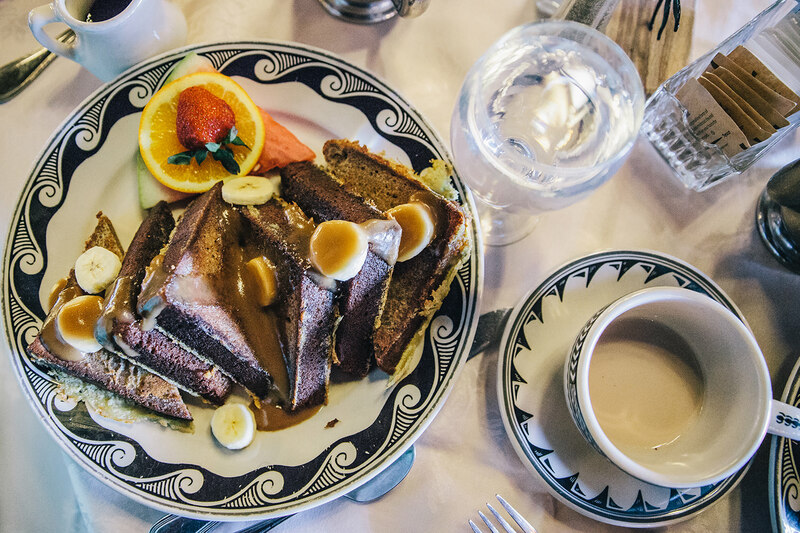 Fuel up at the legendary El Tovar Hotel – a European-inspired chalet built right on the canyon rim that’s played host to guys like Roosevelt, Einstein, McCartney, and Zane Grey over its 100+ years in operation. Get a jump on traffic at Horseshoe Bend by staying at Navajo Nation, where you can crash out in a hogan on Navajo land, where tribespeople have been living for 15 generations. The Emerald Mile is mandatory reading for anyone with plans for time on the Colorado River: the wild story of Kenton Grua – a Grand Canyon river guide who rowed the entire canyon in a record-setting 37 hours in a wooden dory. Before you go, plan your trip, get inspired, and get a unique view from inside the park through the eyes of those who spend every day there – rangers and land managers.